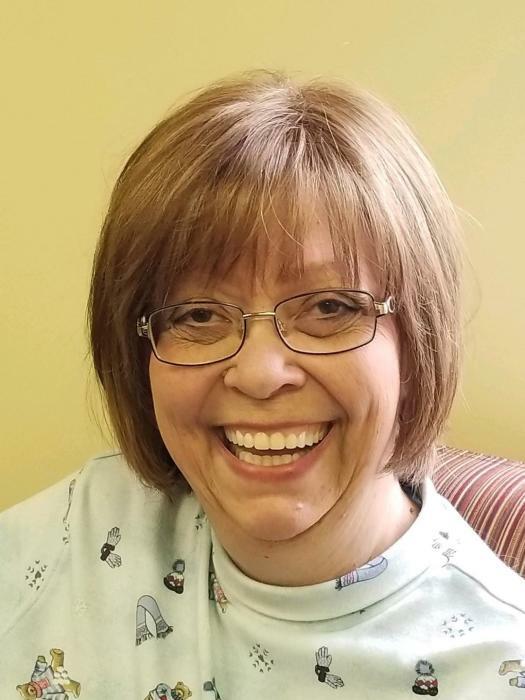 Bonita Susan Vondrak, age 61, of Waterloo passed away on Saturday, February 9, 2019 at DeKalb Health in Auburn. Mrs. Vondrak was born on December 2, 1957 in Garfield Heights, Ohio to Robert and Mary Ann (Horba) Vondrak. She married Jeffrey Scott Brown on April 2, 2008 in Auburn. He resides in Waterloo. Bonita has worked as a commercial transportation clerk at the Walmart Distribution Center in Auburn since April of 2002. She enjoyed putting puzzles together and she and her husband have rescued and rehabilitated Great Danes for several years. Son and daughter-in-law; Randall Vondrak and Stacey Coates-Vondrak of Canton, Ohio. 2 grandchildren; Clara Belle Coates and Kaitlyn Vondrak. Sister; Renee Watters of Ravenna, Ohio. Visitation will be held on Wednesday, February 13, 2019 from 4:00 to 7:00 PM at the Feller and Clark Funeral Home, 875 South Wayne Street in Waterloo. Burial will take place at the Marion National Cemetery in Marion, Indiana. 30 South Meridian Street, Suite 200, Indianapolis, Indiana 46204-3509.